Compact pressure washer with Click&Clean accessory system. Handle and wheels for ease of use. On board storage. 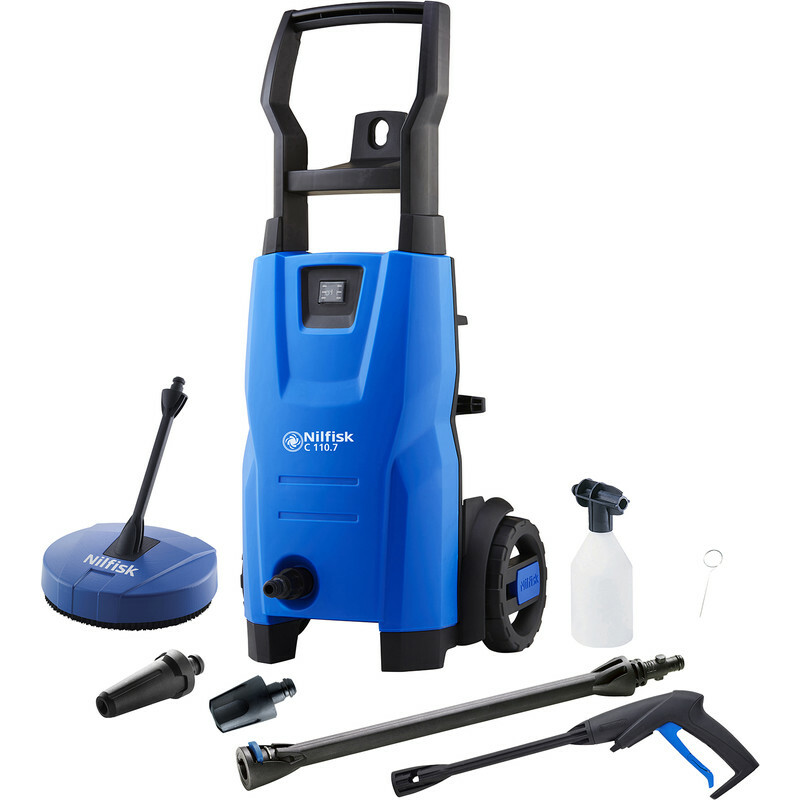 Includes compact patio cleaner, 5m high pressure hose and 5m cable, G1 trigger gun with click connect and hose swivel, G2 Click&Clean Lance, Click&Clean Tornado fan jet nozzle, Click&Clean Powerspeed rotating pencil jet nozzle, Click&Clean foamer nozzle and detergent bottle. Manufacturer's 2 year warranty (T&Cs apply). Nilfisk Compact Home Pressure Washer 240V 110 bar is rated 5.0 out of 5 by 1. Rated 5 out of 5 by luk006 from great for a price Just what i needed for washing car and patio.